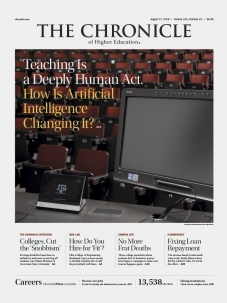 “[Professor Craig Coates at Texas A&M] wanted to reorient the course toward writing and discussion, convinced that the method would not only reduce cheating but also be a more engaging way to learn. But with 500 students — 200 in person and 300 online — grading would be a challenge. He experimented with one assignment, and it took days for him and three teaching assistants to complete the grading. “It was obviously going to be impossible,” he said, to do it by hand.